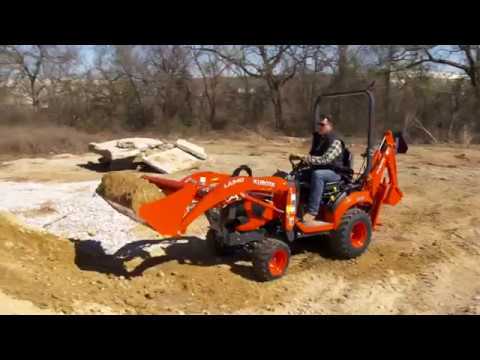 ONE TRACTOR, ALL JOBS: No matter what the chore, the Kubota BX80 Series has you covered. 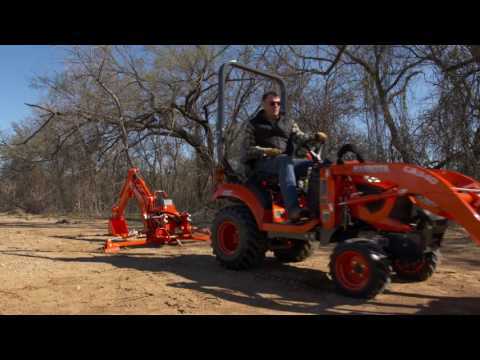 Whether snow removal, lawn care, moving dirt and materials, mowing pastures, tilling the land, or any other property maintenance task, Kubota has an implement or attachment that will make your job safer, quicker and easier. 4-POINT FRONT HITCH: The 4-point front hitch enables front implements like blades, brooms and snow blowers to be easily attached and removed. In addition, with the Single-Lever PTO Connection, attaching PTO driven implements has never been easier! MID-MOUNT MOWER DECKS: Kubota offers multiple mower deck options, allowing you to choose which deck fits your needs best. Our standard mid-mount mower decks come in 48 in., 54 in. and 60 in. options and our Easy-Over Mower Deck comes in 54 in. and 60 in. sizes. The Kubota Easy-Over Mower is one of the easiest drive-over decks available on the market today. Its simple design allows you to remove or install the mid-mount mower without any heavy lifting or pulling. 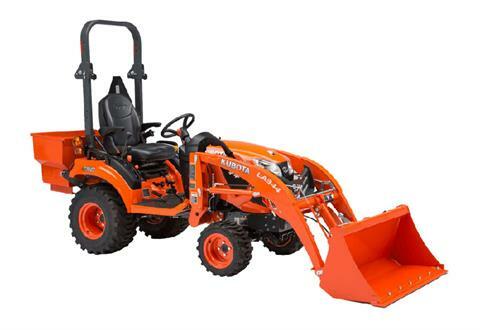 Kubota also offers rear baggers and mulch kits for each of the BX80 Series mower deck options. SWIFT-TACH LOADER - EASILY REMOVE YOUR LOADER WITHOUT EVER GETTING OFF THE TRACTOR: Faster, simpler attachment of implements. Want versatility for multiple types of jobs? Switching between implements for various applications couldn’t be easier! Kubota’s new Swift-Tach Loader allows for simple loader removal and installation – without ever getting off the tractor! Additional Features: 1. Single Lever Hydraulic Connection – Simultaneously attach and detach all four front loader hydraulic lines. 2. Premium Flat Faced No-spill Hydraulic Couplers – Less mess and easier to connect than traditional tractor hydraulic couplers. BIG COMFORT ON A SMALL TRACTOR: With a flat operating station, tilt steering and a deluxe seat with armrest, the BX2380, BX2680 and BX23S offer comfort that is second to none in this class of tractor. Add to that the ergonomic placement of levers and the modern instrument panel and you have one of the finest operators stations ever offered on a sub-compact tractor. 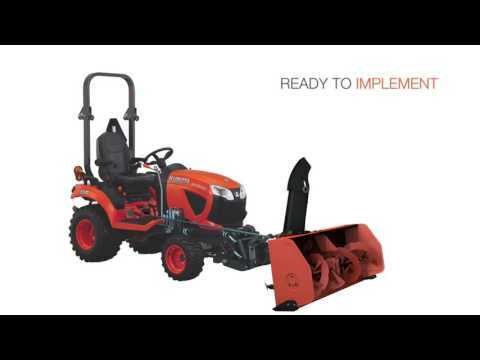 KUBOTA QUALITY AND DURABILITY: The Kubota built BX80 Series sets the standard for quality and durability with its Kubota engine and powertrain. Adding to the longevity and strength is the metal hood and fenders, designed to last in the toughest conditions.